Some months before this book was released on Friday, I’d sent a message to Smith via Twitter offering my services to read through the manuscript and edit it if he wished. It was a genuine offer – I have more than a decade of experience as a newspaper sub-editor (which forms part of my 20 years in journalism) so I had the skills. There was also a selfish motive in that offer – I was dead keen to read the book and figured the editing gig would enable me to read it earlier. As it turned out I had to wait a bit longer to read it; at least until the advance review copies were sent out to the media. 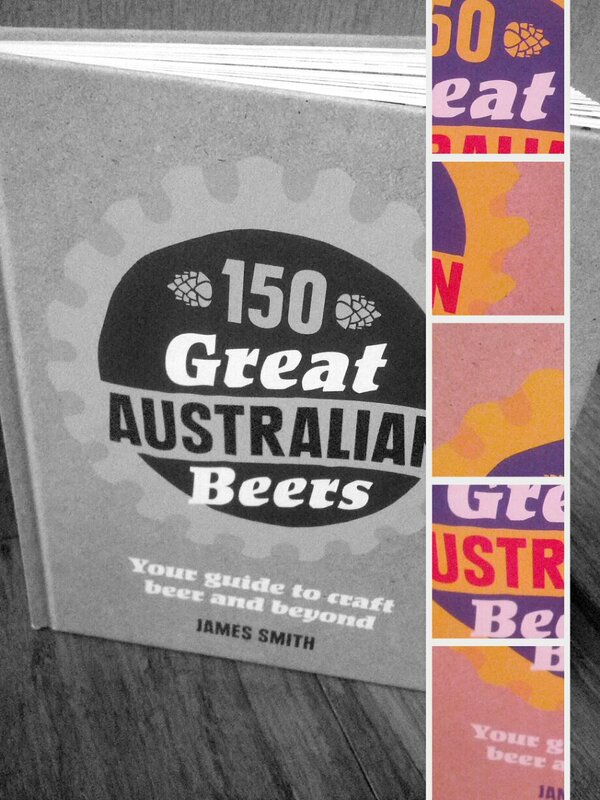 When I first heard Smith – who also runs some website called The Crafty Pint (apparently it’s rather big) – was writing a book, I was hoping it would be a history of the Australian craft beer scene. But that’s not the book he wrote, which i’m okay with. If he did write that book, it would have taken a whole lot longer and I would have still been waiting for it. That said, there is some history of the scene here; both in the intro, which gives a “well, how did we get here?” overview, and in many of the write-ups about each of the 150 beers. (incidentally, there is also the obligatory few pages on how beer is made. As every beer book seems to have them, I tend to skip than. But I read that section in Smith’s book because I found it nicely written). The core of the book are the profiles on the 150 beers. Each gets a page to itself which includes tasting notes, the story behind the beer, food matches and where you can find it. The selection – and the book – is aimed at the space between those who will forever drink VB and the beer geek. In other words, those that might be won over to the side of tasty beer. So there will be beers includes that will likely make geeks cranky (“Hahn Premium? This guy has got to be joking. And White Rabbit? That’s not craft”) but I think the selection works well. And the geeks will be pleased that Smith has included the hugely niche Billy B’s apple beer. Or maybe they won’t because they’ll be annoyed that now everyone will know about it. Oh well. As someone who recognised all the beers here, and has drunk most of them, I still drew a lot out of this book. Especially through the little snippets of history you get with the story of each beer. There was plenty of stuff I didn’t know. So much that I reckon I’ll have to read it a second time to take it all in. With Fathers Day coming up this makes a great present. If you’ve got kids start telling them to buy this book for you. If you don’t have kids, go adopt some so they can buy it. Or, if you wanted to take the easy route, I guess you could just buy it for yourself. Because if you like beer, you should buy this.